Nick Offerman and Megan Mullally recently celebrated their 15th wedding anniversary, and in honor of their crystal-themed milestone (or, as Offerman referred to it, “Krystal”-themed, in a nod to the Bachelor in Paradise contestant), they stopped by Good Morning America Monday to talk about their forthcoming book, The Greatest Love Story Ever Told: An Oral History. The pair, who met back in the early aughts when they were both doing an “equity-waiver play in Los Angeles,” according to Mullally, have found a formula and combination of factors that helps make their marriage work. Their foundation is to actually like the person you’re with. At this, Offerman, perhaps best known for his role on Parks and Rec, began to blush from the compliments. “I’m sorry, I can only take so much of that,” he mumbled as the studio audience laughed. They have a two-week rule. The book itself consists of the couple’s “actual conversations” to help fans understand the way their daily lives play out. Mullally told Entertainment Weekly that the initially thought to record their conversations as they relaxed in bed each night and to then have an editor “polish that up” for the book, but in the end, they opted to stick with the raw dialogue. The couple revealed during their interview that they’re big fans of the Bachelor franchise. So for their 15th wedding anniversary, which happens to be linked to crystal (“first anniversary is paper and so forth,” Offerman said), the comedian got his wife the most special gift. 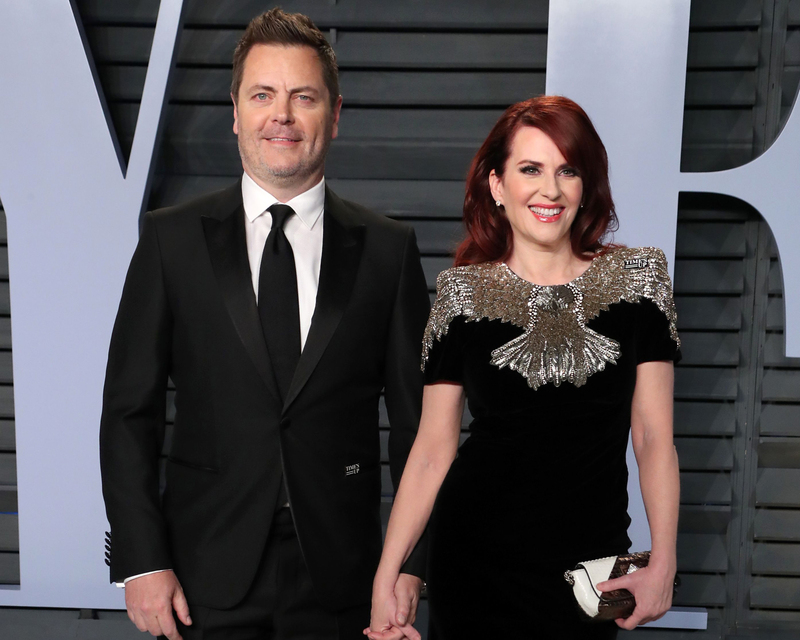 Be the first to comment on "Nick Offerman and Megan Mullally’s 15-Year Marriage: What We’ve Learned"